Introducing Westmed’s NEW Pregnancy Mobile App, in Partnership with Wildflower Health! Westmed’s Women’s Health Dept. 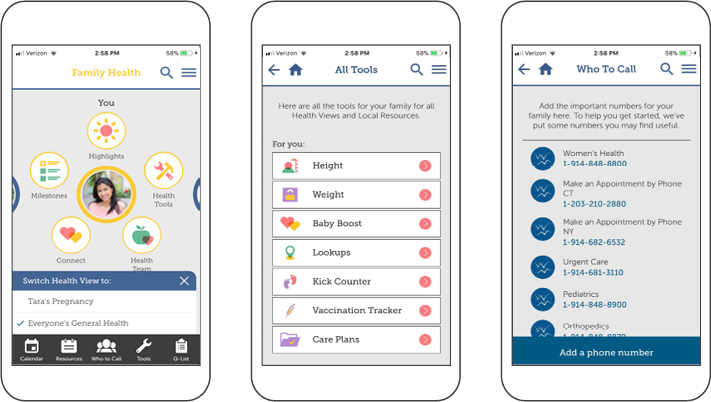 has partnered with health content and mobile app developer, Wildflower, to bring you the free FAMILY HEALTH app, where you can manage your pregnancy through each milestone and trimester. The app provides tools such as a kick counter, weight gain calculator, due date calculator, vaccination tracker and more! After downloading, just enter your zip code in the “Unlock Content” section to discover tips, tools and resources from your Westmed healthcare providers.